Whatever “it”is, you may say in that sarcastic tone. 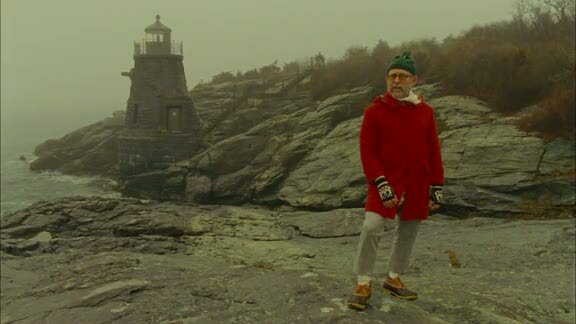 But I will keep believing, perhaps forever, that this acclaimed, genius director of detail simply…gets it. His complex and vivid characters speak with endearingly blunt honesty. 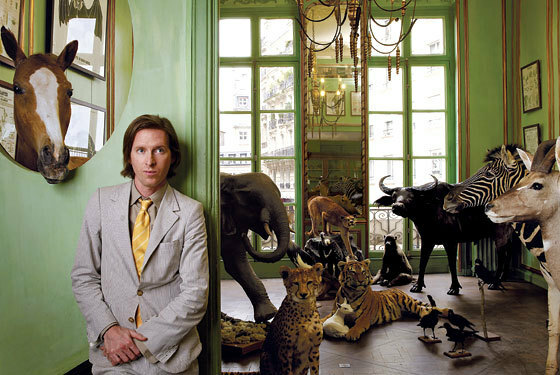 One of my students claims that “Wes Anderson makes children’s books that come to life.” Agreed, Becca. Anderson is indeed a visual storyteller whose medium is life-sized diorama. The doll houses, cut in half, swing open to reveal intricately placed treasures, and as the camera pans through we understand that pieces of the story are unfolding. 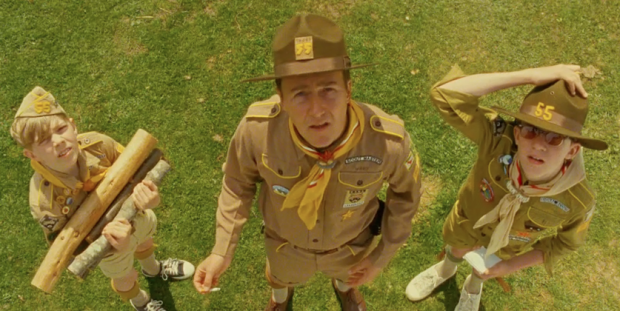 He is the king of moving panoramic shots, of directness in monotone line deliveries, of awkwardness from a swash of the explicit, of color schemes, of the quintessential slow motion sequence. His style is unmistakable once you are aware of it. I love how his brain works – how he sees the world. I would dare call this director an archaeologist, for he uses found objects ritually and often symbolically. 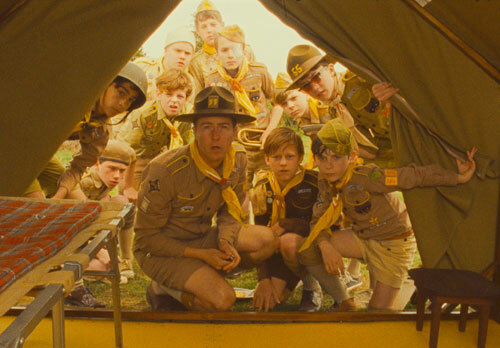 In this film, it’s the brooch, a record player, a pair of binoculars, a scout uniform, a tent, a map, a megaphone. 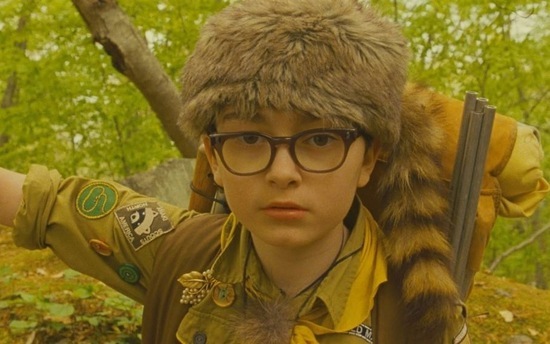 This film is a love story, but somehow sadness mingles with the sweet. Heartbreak. 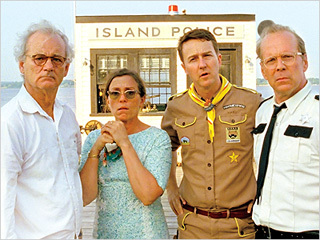 This film is for Anderson fans, young and old, to drink in, frame by frame, with delight. Just know that it’s totally Anderson, and that it wouldn’t be without that one scene. 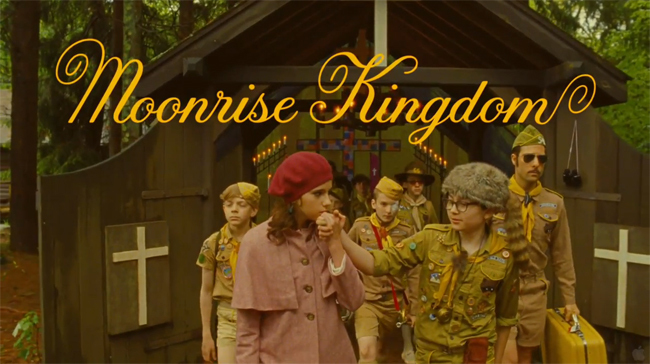 Moonrise Kingdom‘s one scene occurs in the place where the film gets its name and is so over-the-top verbally awkward and sexual that I’m surprised they didn’t earn a higher rating. Through the eyes of Anderson, we become fellow anthropologists and sociologists. We study the fragments and artifacts of humanity. We listen to blunt, refracted statements that leave us heartbroken then bursting with the crowd in laughter. It’s all about relationships. A husband an wife who can only talk shop, a sad officer who has to borrow family, a powerless leader, an angry boy and girl: very real pain, very felt love. Loneliness camps out on every island spot searching for belonging, for care, for home. It is rarely secure. Here, we join Anderson on the excavation and inevitably find life beneath the dirt. And, perhaps we find that we all belong and are … kindred spirits after all. Thank you, SIFF, for a beautiful premier at the old, glorious Egyptian Theater in Seattle. Great article, I hadn’t heard much about this movie but thanks to your article I’m going to check it out.